You should be made aware that I am having a passionate love affair. With donuts. My love for you has not cooled, but you might need to step up your game because these donuts are ridiculous. I made these for Cat's birthday, and then this weekend I made glazed blueberry donuts. I'm making those again soon, which is when I'll post pictures. They were eaten so quickly by the boys that I couldn't even get a good picture! 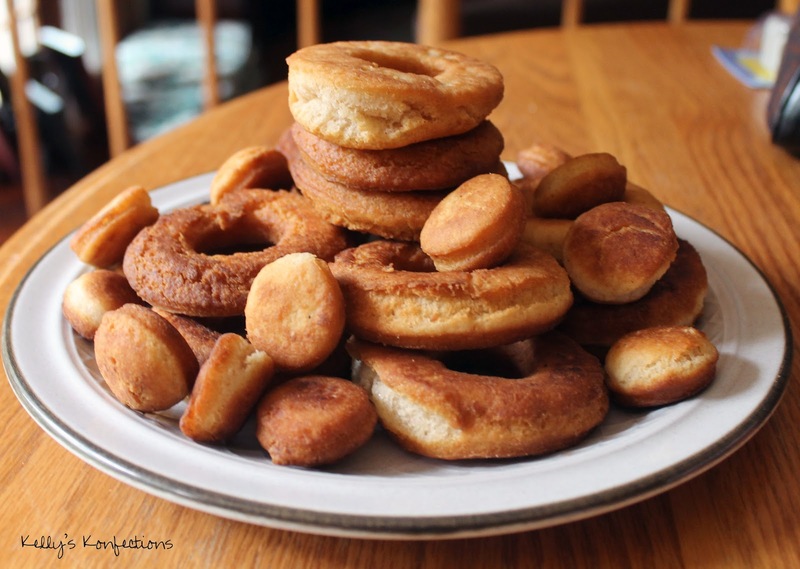 Ever since I got a donut cutter for cheap at the Variety Store near my house, I've been searching for donut recipes that don't require a donut pan- I'll eventually invest in one, since baked donuts are healthier, but for now, why not have a little fun? 1. Combine flour, sugar, salt, baking powder and cinnamon in a mixing bowl. 2. Add butter and beat until combined, then add milk and egg until combined. 3. Heat 1-2 inches oil in a large skillet over medium heat. 4. While it's heating, roll the dough out on a floured surface, ~1/2-1 inch thick. 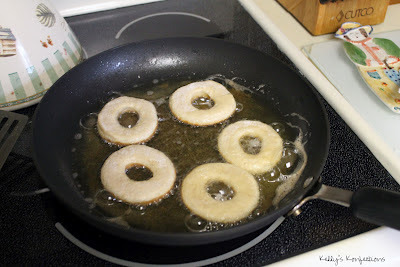 Cut out donuts and save the donut holes, you'll want to fry them too! Plain glaze: 1 c powdered sugar, 1/4 c milk. Dip donuts into glaze. Vanilla frosting: 1 c powdered sugar, 1/2 tsp vanilla, 1-2 tbsp milk. Spoon over donuts. Chocolate frosting: 1 c powdered sugar, 1 tbsp cocoa powder, 1-2 tbsp milk. Spoon over donuts.